Medium 70% Rh Heartfelt Stainless Humidifier Discounts Apply ! The Heartfelt Stainless Humidifier has undergone changes improving the performance of the unit and making it easier to see the level of hydration of the Heartfelt Beads inside. The perforated aluminum (lots of holes) has been replace with two large cutouts. These cutouts have a fine mesh sheet inserted to retain the Heartfelt Beads. 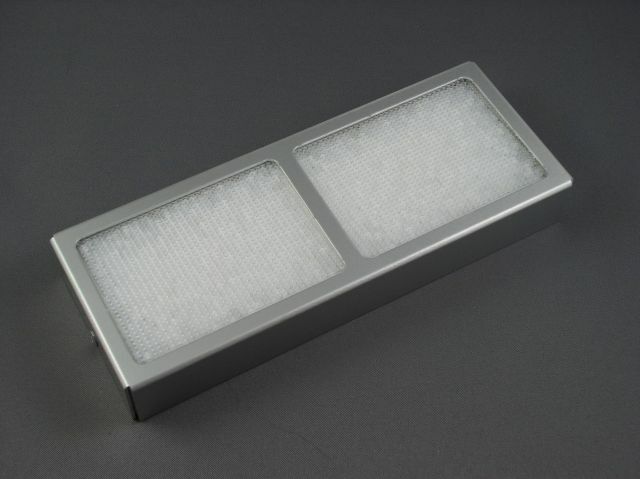 This mesh increases the exposure of the beads as opposed to the perforation increasing the efficiency of the moisture transfer when needed by your humidor. The Heartfelt Beads are easier to see as well which makes it easier to see if the beads need to be re-hydrated with distilled water. This Heartfelt humidifier made of Stainless Steel and is designed to replace those rectangular plastic humidifiers that come in the lids of larger desktop humidors. It holds approx. 4 ounces of beads and humidifies up to 2160 cubic inches of space. The Heartfelt Stainless Humidifier comes pre-filled with 70% Rh Heartfelt Humidity Beads. It also comes with self adhesive magnets for mounting and a our Fine Tip Syringe for re-hydrating the Heartfelt Humidity Beads. Size: 6 1/2" by 2 1/2" by 7/8" thick. I bought this to put in my new humidor. Works just as promised. Easy to recharge with water and keeps my new box at a constant RH. Planning to get another.